KC and The Sunshine Band Joins Barry Manilow, Alabama, Nicole Scherzinger, Hunter Hayes, Meghan Linsey, the National Symphony Orchestra, and more! 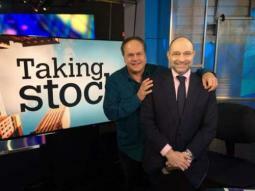 KC to Appear on Bloomberg TV at 5:30 PM EST Today! Be sure to tune in this afternoon at 5:30 PM EST to Bloomberg TV where KC will make a guest appearance. Catch it on your television or via the livestream! The iconic KC and The Sunshine Band takes on the decade that shaped America with the release of their new album, Feeling You! The 60s, in select stores nationwide and on iTunes and Amazon today. Spring is in the air and who better to ring it in than Harry Wayne "KC" Casey and the sunshiny 'Miami sound' of his Sunshine Band. BMI HONORS KC AND THE SUNSHINE BAND WITH MULTITUDE OF AWARDS!! KCSB Feeling You! The 60s Order Yours Today! It's finally here! 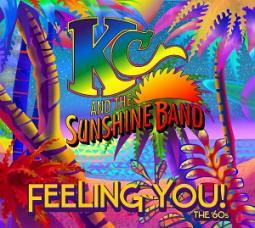 KC and The Sunshine Band is taking orders now for their new CD Feeling You! The 60s! KCSB cover 17 of your favorite hits from the 60s. KC and The Sunshine Band have recorded Feeling You! The 60s. Watch this news video then head over to Amazon to preorder! Features Songs by Sixties Legends Bob Dylan, Ben E. King, The Kinks, The Righteous Brothers, Jackie DeShannon, Aaron Neville & More MIAMI, Fla. (Dec. 16, 2014) – KC and The Sunshine Band dominated the 1970s, ruling the airwaves with a unique meeting of Caribbean, pop, R&B and latin styles that inspired infectious grooves and the distinctive Sunshine Sound, producing such #1 hits as “Get Down Tonight,” “That’s the Way (I Like It),” “Boogie Shoes,” "Shake Your Booty,” and many more. New CD Coming Out March 10, 2015! KC is please to announce the upcoming release of his new CD "Feeling You -The 60s". KC performs 17 songs from the 1960s. Watch for its release! KC & The Sunshine Band’s Harry Casey tells Dan Condon he’s thrilled his band’s music lives on, in spite of others trying to bring the music down. When KC And The Sunshine Band tells 5,000 people to clap their hands, they clap their hands. The Crossroads tent is transformed into a 70s discothèque as songs like ‘Rock Me Baby’ and ‘That’s The Way (I Like It)’ ring out. KC & THE SUNSHINE BAND, WAR HAMER HALL 18 April, 2014 There’s an online quiz you can take to determine if you are a music snob. They ask if you ever bought tickets to a reunion show even though you kind of knew it would be disappointing. The cost of admission tonight comes with those very feelings of trepidation. When Monday rolled around, the perfect show to snap out of any growing weariness was found with KC and the Sunshine Band. Until then I had been missing that real cut loose dance your booty off performance. With a crazy stage show of dancers and a faultless musical performance they had everyone up and moving to the sounds of dance party favourites ‘(Shake, Shake, Shake) Shake your Booty’, ‘Get Down Tonight’ and ‘That’s the Way (I like it)’; it was an infectious feel good affair. Monday afternoon at Bluesfest (or should I say Funkfest) saw ‘70s disco-funk group KC And The Sunshine Band play huge hits such as ‘That’s The Way (I Like It)’, ‘Shake, Shake, Shake (Shake Your Booty)’, and ‘Get Down Tonight’. They had groovy dancers moving and doing acrobatics all over the stage – it seemed like there was a bit of sexual tension between them and lead singer Harry ‘KC’ Wayne Casey, which was a bit funny to watch. Overall the sound was impeccable, and their performance was flawless. The 70's disco hit makers perform 'Please Don't Go' on The Morning Show ahead of their tour in Sydney this week.